There are two things I wish someone had told me before my first cruise. The first -- never, ever wear a skirt on deck. Ever. The other is that, despite my lack of sea legs and extreme resistance to “unplugging,” I’d come to love cruises. My cell service went out about 20 minutes into our journey (yes, I broke out into hives) and the Wi-Fi was so ridiculously expensive I could barely afford to check email. I was going to have to relax in a lounge chair whether I liked it or not -- and you know, after the hives cleared up, I found I really wanted and needed that time off. These days a cruise cabin looks more like a boutique hotel suite than a squashed hamster cage -- just take a look at the Celebrity Edge and the MSC Bellissima, newly launched for 2019. The food leans more towards Michelin-starred restaurant than all-inclusive buffet, and there’s enough entertainment onboard to distract a kid for months. Or not. Some ships are adults-only. Some ditch excessive size and luxury for far-flung adventures in the world’s hardest to reach locales. There are a lot of options, but here are the best of the best so you can find the right one for you. Carnival is a favorite for families and friends in the cruise industry, and there are plenty of reasons why. The price is right, the food is decent, and the destinations are gorgeous. The launch of the Carnival Vista brought IMAX movies to the Caribbean. 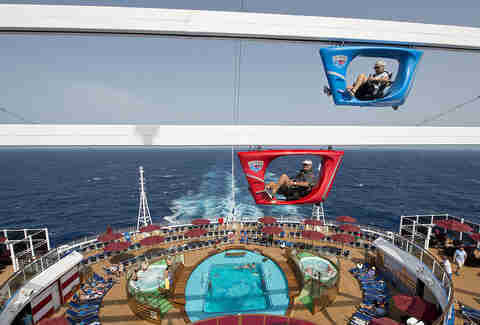 The Carnival Panorama, which is due to launch in December 2019 out of Long Beach, CA, will see the first Sky Zone Indoor Trampoline Park and Challenge Zone hit the high seas. We have to wonder though, will passengers get off at the Mexican Riviera ports, or be too busy bouncing between Decks 7 and 8? What makes it awesome? Carnival is a staple in the cruise industry and families and friends continue to go back to it over and over again for a reason. The price is right, the food is decent, and the destinations are gorgeous. The launch of the Carnival Vista now means that you can not only see the southern Caribbean, but you can also watch IMAX movies while onboard. What makes it awesome? Everyone loves bumping into a pantless Donald Duck running around a cruise ship. The beauty of a Disney cruise for the very tired parent is that everything from the parks is packed into a confined space. Is your kid screaming for a kiss from Mickey? The mouse is outside the restaurant ready for photos as you walk up for dinner. Does your princess just have to meet a princess? Cinderella’s probably just kicking it at the kids club. Want to get fancy? Book a cruise with a Star Wars or Marvel Day at Sea, and you may find you have a new galactic superhero in the family. Moms and dads deserve to have a vacation too, and the cruise is where you get the best of Disney, but with many, many places to ditch your kids. 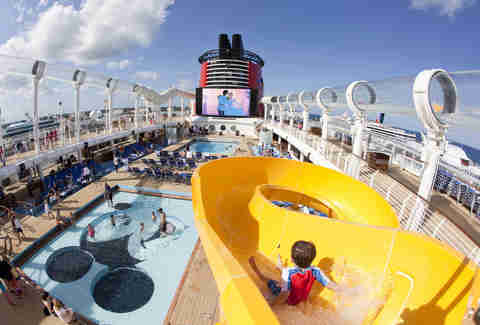 The boat has screening rooms to catch the latest Disney films, live Broadway-style shows, swimming pools with waterslides, and loads of games and activities throughout the day. Naturally that Disney level of service from the parks extends to the boat. But really, let’s get back to that kids club. You could leave your kid at the kids club for most of the At Sea day and even on Disney’s private island Castaway Cay for a bit to take a nap and get some “alone time” in your cabin. Just sayin’. What makes it awesome? Norwegian was the first cruise line to build interior studio staterooms just for single cruisers. The Studios Lounge offers TVs and a bar, which are perfect for mingling with other singles onboard. 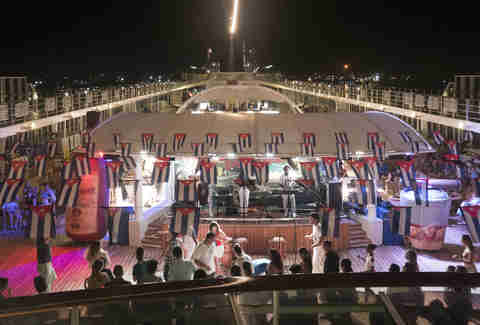 Most sailings have singles meet-ups, and nightly events in the main Studio Lounge, dinners out where singles get grouped at tables together, and even a few dance parties onboard. Dating on the high seas just got a whole lot easier, Tinder-free. Need a spot to take that new date? The Norwegian Bliss has the largest race track at sea, and it extends 13 feet over the side of the ship. If that doesn’t get your motor running, we don’t know what will. Where it goes: Caribbean, Far East, Indian Ocean, Mediterranean (Eastern and Western), Middle East (UAE, Oman, Israel, Jordan and Qatar), Northern Europe, Transoceanic (Atlantic and Indian Ocean), South America and World Cruise. 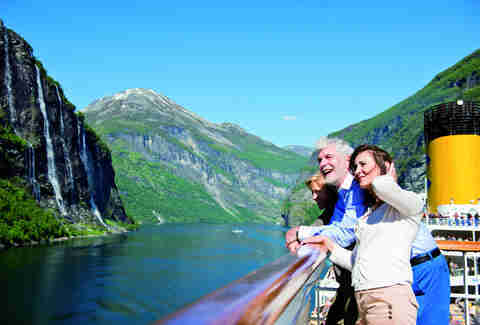 Fjord cruises include the Netherlands, Norway, Denmark and Germany. What makes it awesome? Vikings. Need I say more? I mean really, who wouldn’t want to gaze at the beauty of the fjords of Norway? And no, you don’t have to sing any Frozen songs while you are there. 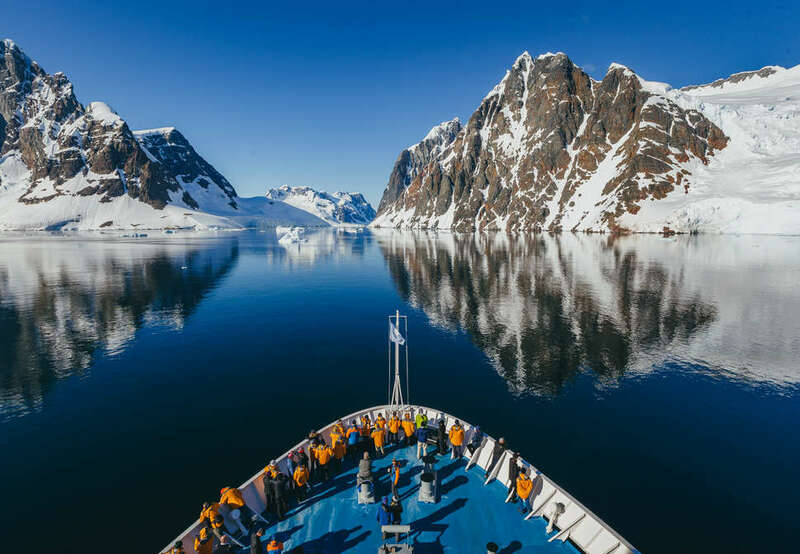 Get up close with glaciers, waterfalls, lakes, cliffs, and fjords as you cruise the coast. Dump the kids with Peppa Pig for a kids party while you enjoy an 11-course dinner by Chef Bruno Barbieri and show off your singing skills on The Voice at Sea. What makes it awesome? Small ships and yachts that carry just 22 to 88 passengers mean that you can get up close and personal with the wildlife you seek. Fewer ports of call mean that you have time and freedom to explore. Spend your days hiking, kayaking, bushwhacking, and exploring by skiff. Snorkel with turtles in Hawaii. Watch humpback whales from your kayak in Alaska. See gray whales and calves in Baja. Even better, the Costa Rica and Panama itineraries just got extended, so you’ve got more time to explore two beautiful countries and one heck of a canal. Basically, if you want an adventurous, nature-filled vacation, this is your cruise. What makes it awesome? Viking’s Ocean Cruises carry 930 peeps (max) and are classified as “small” ships -- which means you can get into harder-to-reach ports of call and see more than your mega-ship counterparts. Sailing with Viking brings elegance and modern Scandinavian design into every nook and cranny. Every cabin has a veranda, so you can escape your room and watch the scenery go by whenever you like. Dining is top-notch, and the sauna and snow room make this a truly Scandinavian experience. Where it goes: Europe, Africa and Southeast Asia, including Austria, Belgium, Botswana, Bulgaria, Cambodia, Croatia, Czech Republic, France, Germany, Hungary, Iceland (2019), Luxembourg, The Netherlands, Portugal, Rwanda, Romania, Serbia, Slovakia, South Africa, Spain, Switzerland, Tanzania, Vietnam and Zimbabwe. What makes it awesome? When a cruise company is actually managed by the founders, you are sure to see a different level of service. 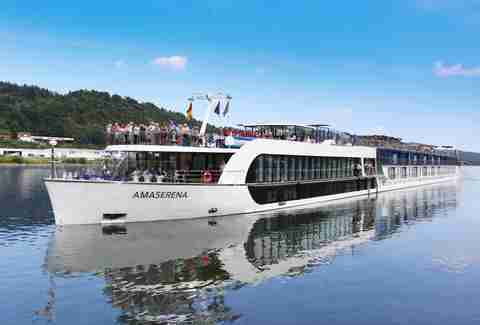 Guests are treated better than family with AmaWaterways. The chef sources food and wine locally along the journey (yes, you can go to the market with him), and AmaWaterways was the first river cruise line inducted into La Chaîne des Rôtisseurs, one of the world’s most prestigious culinary organizations. While most people are familiar with the river cruises of Europe, AmaWaterways takes you on incredible adventures in Africa and Asia with the same level of service on their European tours, and in-depth experiences using local guides. Oh, and if you need any further encouragement, try this: some of these cruises come with a free airfare. That’s one more excuse checked off your list. What makes it awesome? If you want a taste of the islands, and even Mexico and Central America, Royal Caribbean can get you there. They offer short escapes (three to five days), all the way up to 18-day vacations. 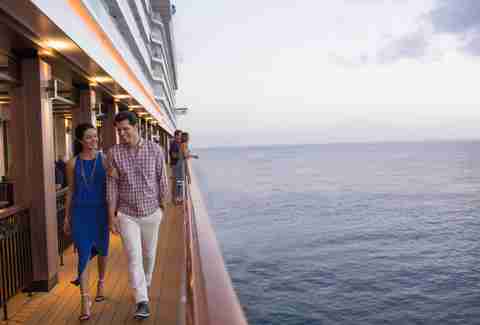 Cruises leave for the Caribbean from up and down the East Coast, as well as Puerto Rico if you want to tack on a little extra beach time or book a land-and-sea vacation with Universal Orlando Resort. 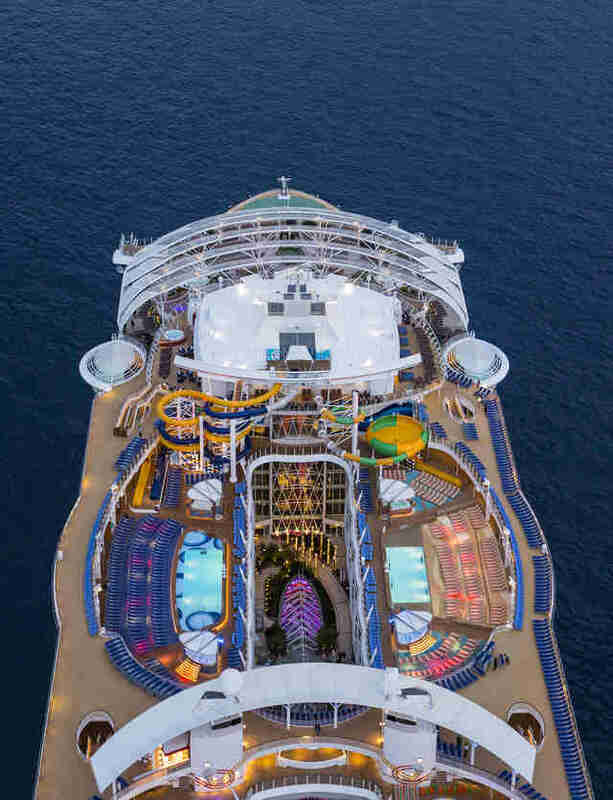 The shiny new Symphony of the Seas is now the largest cruise ship in the Caribbean, with enough space for 5,500 passengers. What makes it awesome? Hop aboard a yacht. Yes, a yacht. If you really want to dive into the small ports across the Mediterranean with fewer than 300 guests onboard, you hop on a yacht. New, lesser-known ports are being added for 2019, so you can escape the mega-ships at the big destinations. A partnership with the James Beard Foundation means guest chefs climb on board specialty cruises to offer cooking demonstrations, market tours and some of the best meals you will ever eat on or off the high seas. All cabins offer ocean views or balconies, so you never miss a thing as you sail into a new port. Go ahead, treat this as your own private yacht. Order a few people around. Ask if they know who you are. Ask if they know who your dad is. 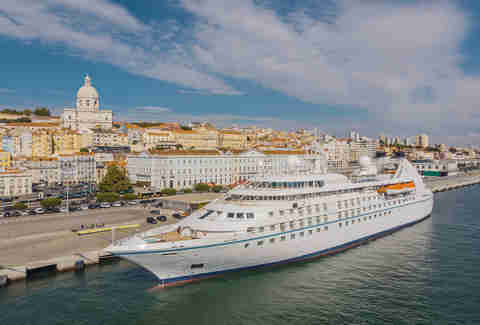 Where it goes: MSC Armonia (only U.S.-based cruise to Cuba) Overnight in Havana, Cuba, then stops in Jamaica, Cayman Islands, Belize, Antilles, Honduras, Mexico, and Ocean Cay MSC Marine Reserve (itineraries vary). What makes it awesome? When Cuba opened its ports to U.S. cruises in 2016, citizens were intrigued. The forbidden fruit could now be eaten. 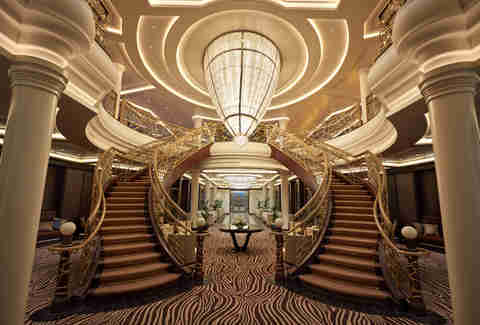 Two years later, and we can still go, but MSC Cruises is taking it to another level. While other cruise lines may stop in Havana for the day, MSC makes sure you are there by early Saturday afternoon. You will have all night to party with the locals. Order a round of mojitos, chat with the bartenders, dance the night away. The cruise staff can help you figure it all out via tours in vintage cars through the city or rum tastings at the museum. When your dancing feet get tired, enjoy live music performed by local musicians onboard, before you leave port the following afternoon. There’ll even be time to go back into town in the morning, do a little shopping and grab lunch (slow roasted pork, rice and beans for the win!) to nurse that hangover. What makes it awesome? You said you wanted to see a polar bear this year, and we’ve got the perfect way to do it. Oh, and we will throw in a few penguins, seals, beluga whales, walruses, and mink, humpback and bowhead whales just for fun. 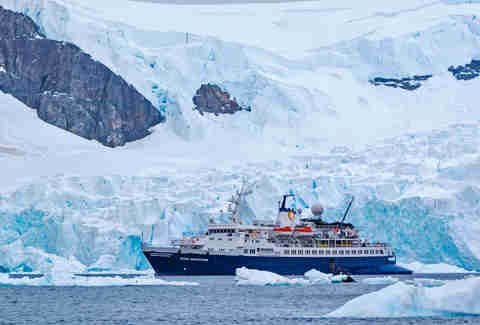 Quark Expeditions only travels to the Arctic and Antarctic, and they’ve been doing so for 30 years. When you are traveling through some of the most extreme habitats in the world, you want the best of the best leading the way, which is why they only hire expert staff -- and lots of them. 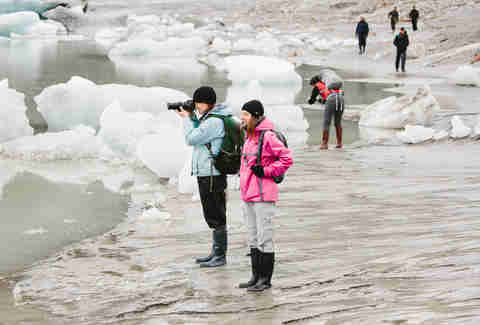 Snowshoe across polar landscapes, kayak in the icy ocean, and take that polar plunge (brrr!). More and more travelers are seeking kid-free vacations, and Uniworld is happy to answer the call. 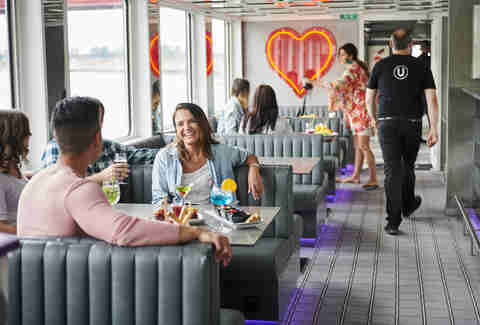 U by Uniworld keeps the children at bay so you can party all night, take a siesta on the top deck, and experience each destination in relative peace and quiet. No water parks, crazy arcades or wet diapers in the pool. Launched in spring 2018, this boutique-hotel-meets-river-cruise was designed with millennials in mind -- dance club, top-shelf bars, baristas and scheduled meet ups included. Best of all, there are only 120 people onboard, a fraction of the amount you’d get on a typical ocean ship. One last perk? There’s free WiFi for all. What makes it awesome? 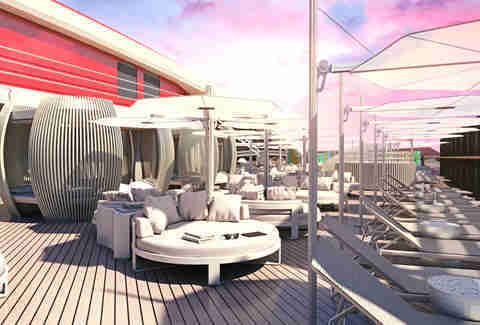 Virgin Voyages, founded by Richard Branson, has three ships in the works, which are truly only for the 18+ crowd. Well-being is the main focus of this cruise, so expect lots of spots to relax and rejuvenate when you aren’t out exploring Caribbean islands -- you even get free fitness classes, as well as dining and soft drinks included in the price. 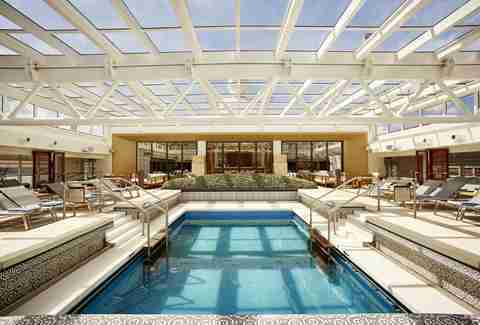 What do we love best about this new cruise? They have banned all single-use plastics. That’s right -- no straws, plastic bottles, condiment packets, shopping bags, food packaging, stirrers, or take-away coffee cups. It makes sense really -- we’d all like a cleaner ocean to cruise in for years to come. Keryn Means is an exhausted mother and travel writer who often uses her job to escape her children. Catch her if you can on Instagram.